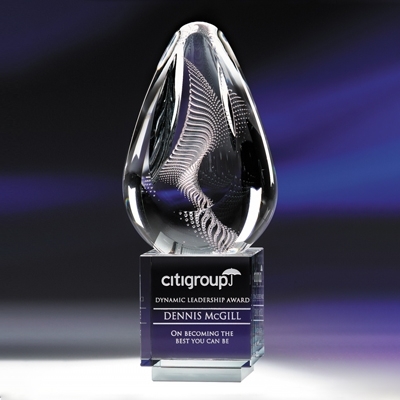 Like a whirlwind, this beautifully crafted art glass piece displays swirls of suspended air bubbles floating to the top of the award. Each piece is unique, just like it's recipient! Your custom text and logo are etched into the optic crystal base.